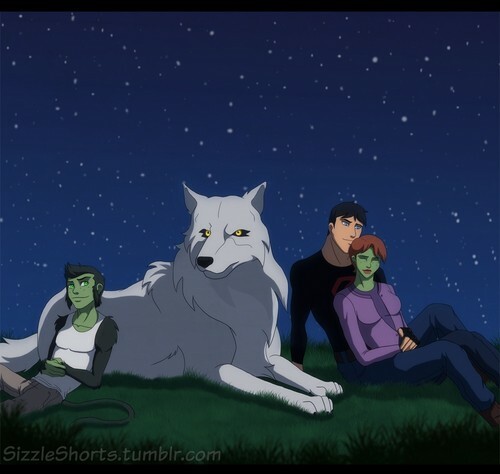 (Fanmade) SuperMartian with Beast Boy and chó sói, sói under the stars. SuperMartian enjoying ngôi sao gazing alongside Beast Boy and chó sói, sói. HD Wallpaper and background images in the Liên minh công lý trẻ club tagged: young justice superboy miss martian beast boy conner m'gann gareth wolf.